After receiving the chocolate moulds I’d ordered yesterday, I just couldn’t wait to try them out. 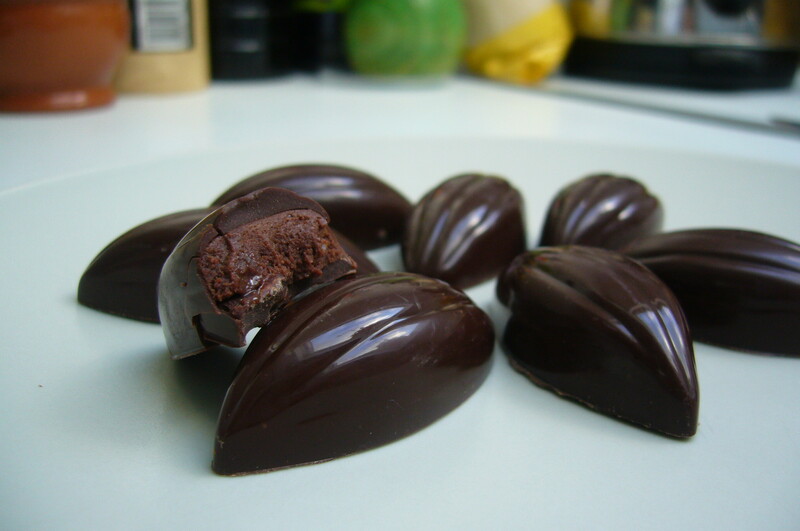 I made dark chocolate ginger truffles in a cacao pod shell. It turned out to be rather tricky, especially to get a thin and even coating for the shell. In some places it was too thin, in others too thick. 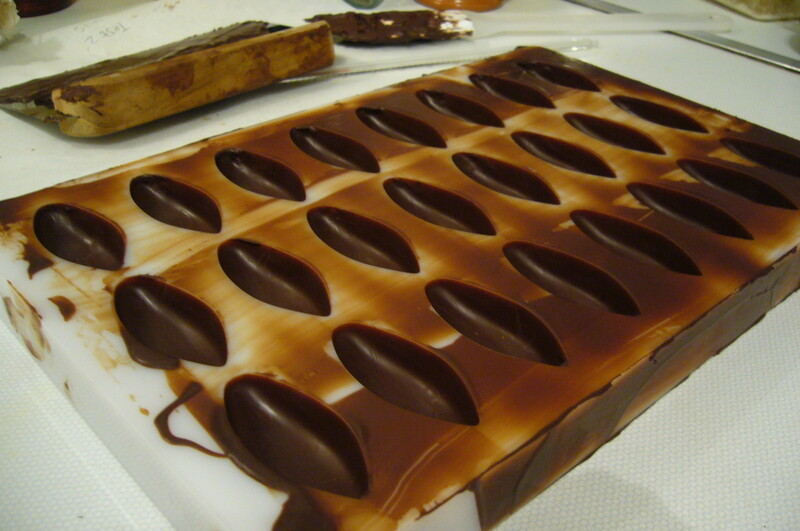 A few chocolates had developed bloom, where the chocolate has cooled too slowly and cocoa butter crystals rise to the surface, giving a white, bubbly appearance. A couple of others refused to leave the mould at all and had to be prised out. These broken tidbits got eaten up immediately! Most of them came out good though, shiny and deadly dark cacao pods. Massive fan of these dark chocolate ginger truffles. Gorgeous flavour and snappy shell…awesome!